Book A Consultation With Our Team In-Store And Get Your Feet Properly Measured And Fitted! Our feet size changes as we age, in order to have the most comfortable shoes, it is important to measure your feet periodically and get the correct size. Brannock device is a useful device. Everyone is unique, get a professional advice from Miss Alice Hui (RN). 1: FREE Basic Foot Checking: foot type, angle and joint movement etc. 2. 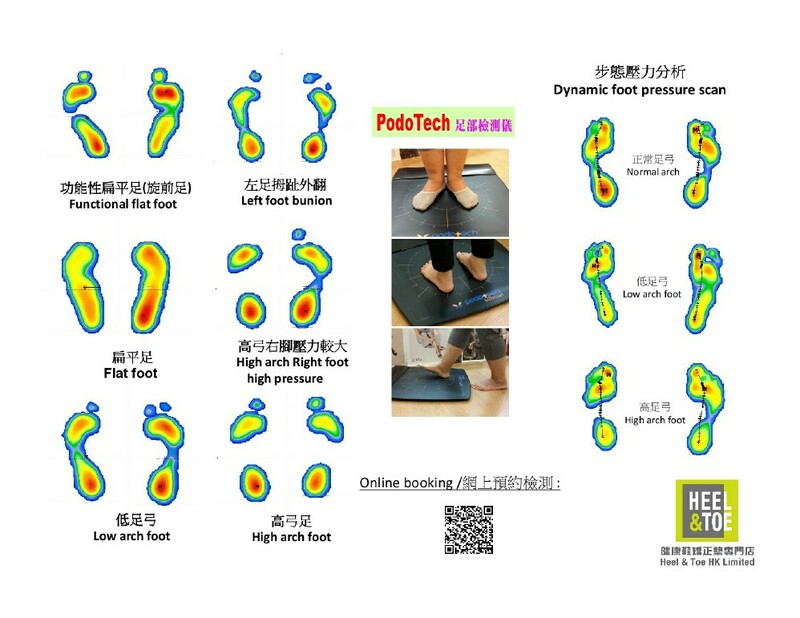 PodoTech Foot Pressure Analysis Checking (HK$ 150), a detail and thorough report showing your foot pressure distribution, walking gait pattern, comparison on the improvement by using orthotic, suggest right type of shoes.